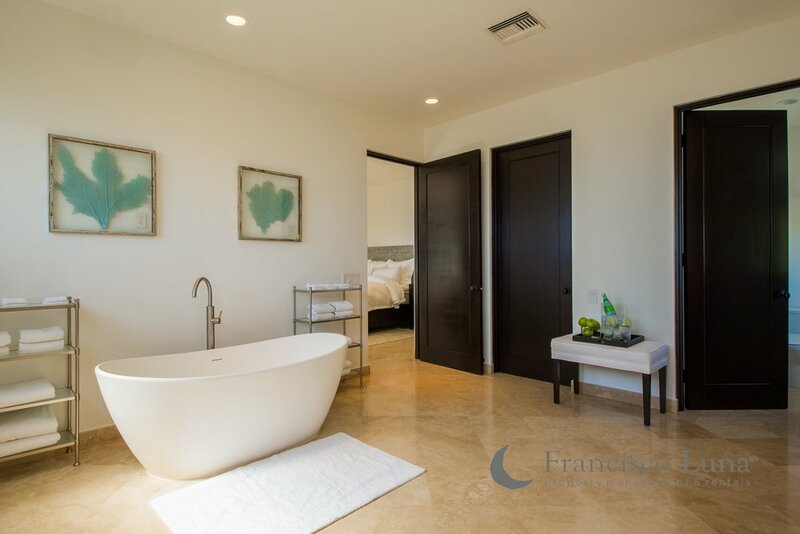 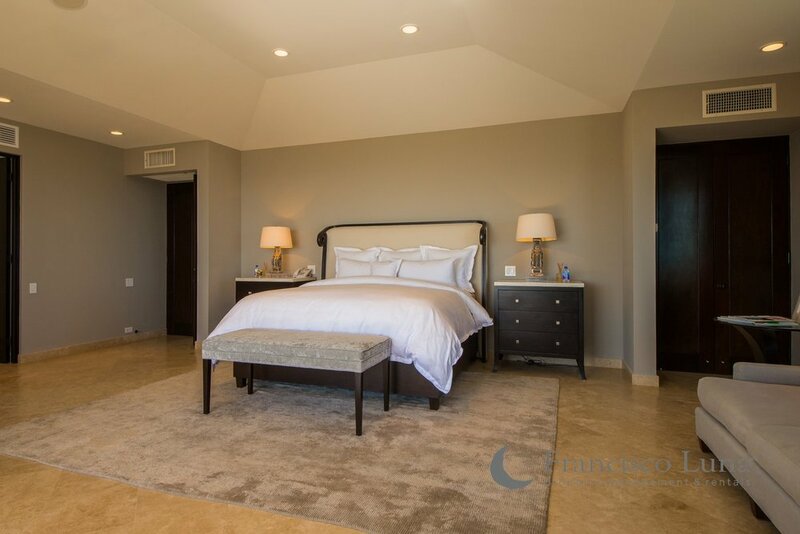 bed 8 · bath 9 · SLEEPS 16 · From $5.800 TO $15.000 usD per night + tax. 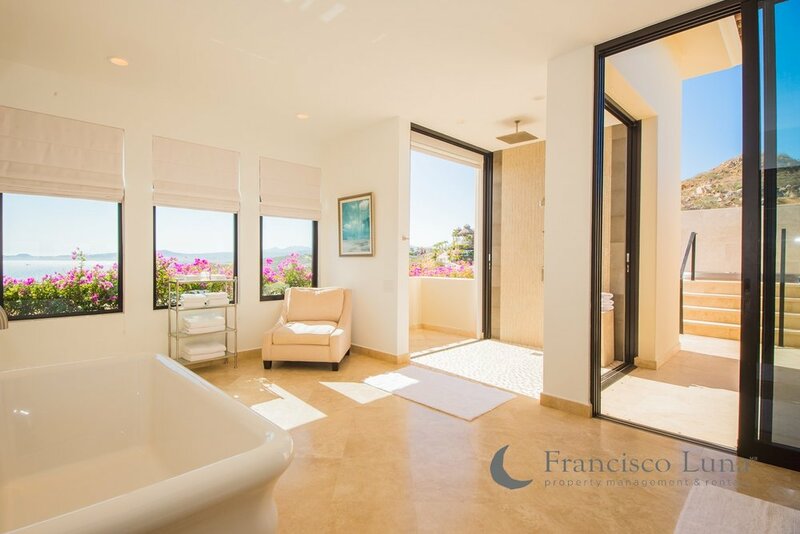 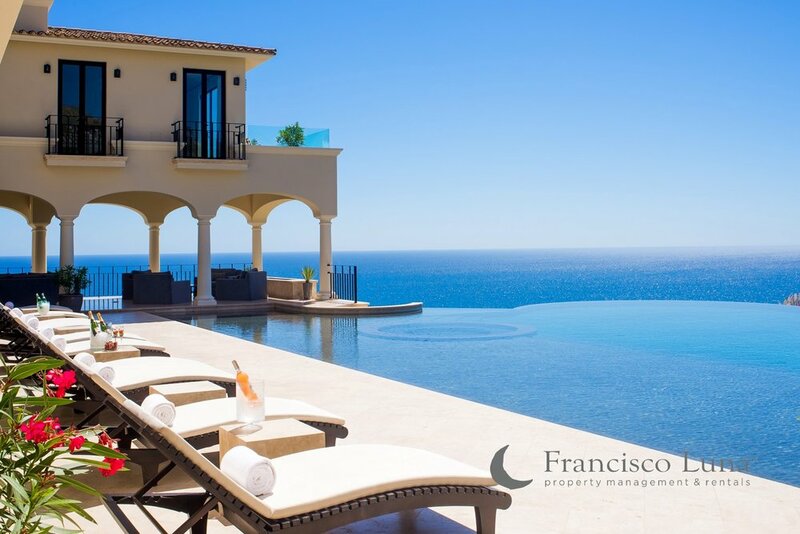 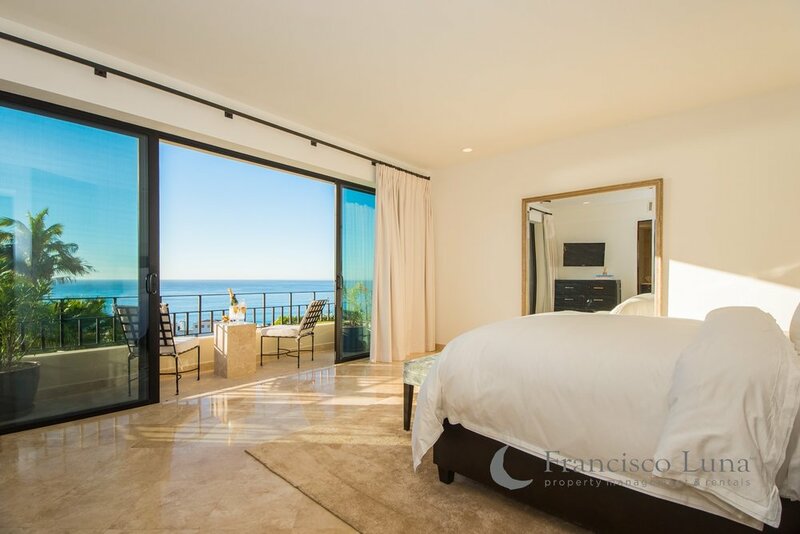 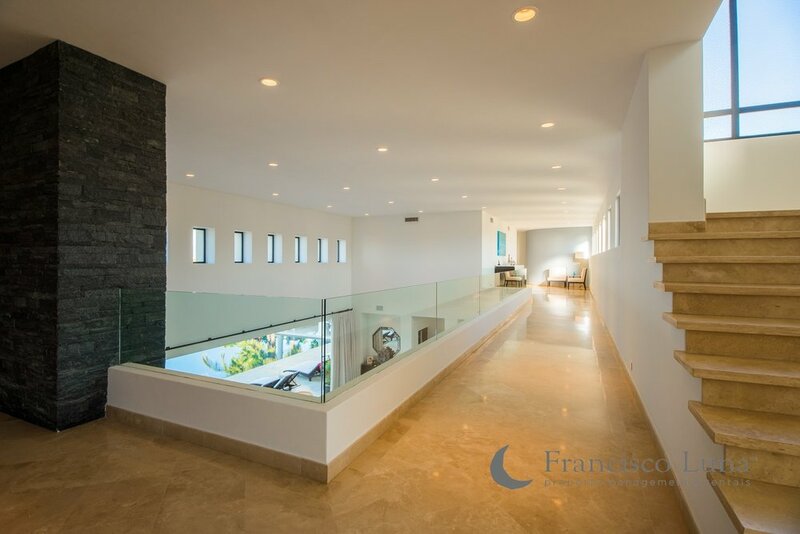 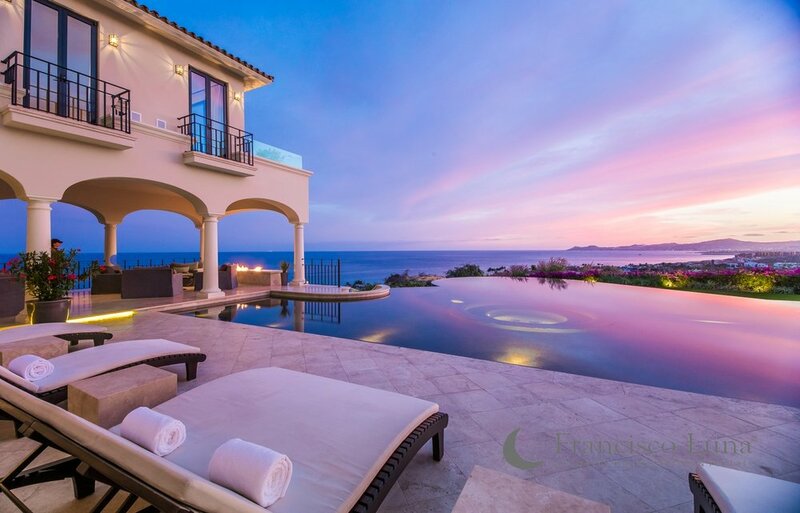 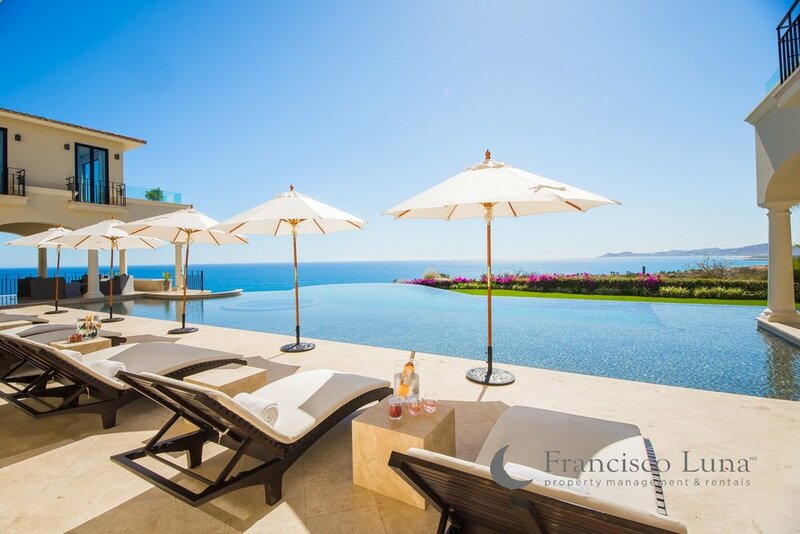 From its spectacular sunrise views from the master suite to breathtaking sunset views from the main house, all overlooking the Sea of Cortez, Paradiso Perduto is one of Cabos' truly unique residences. 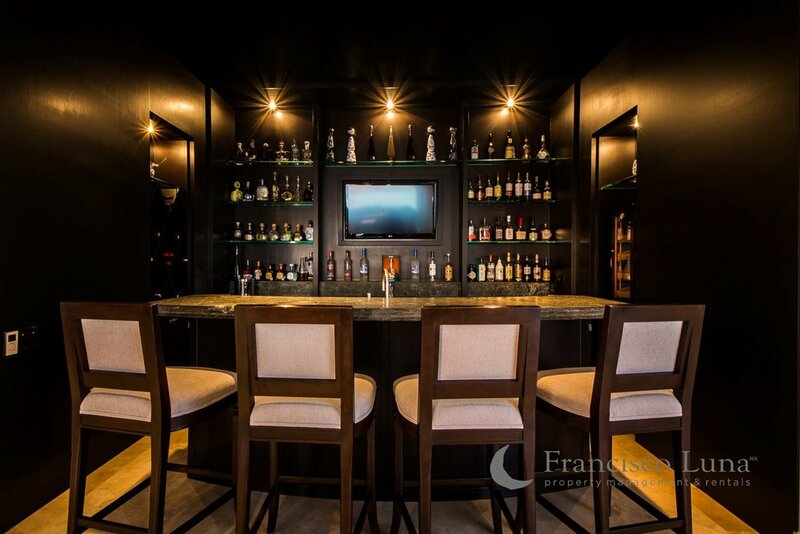 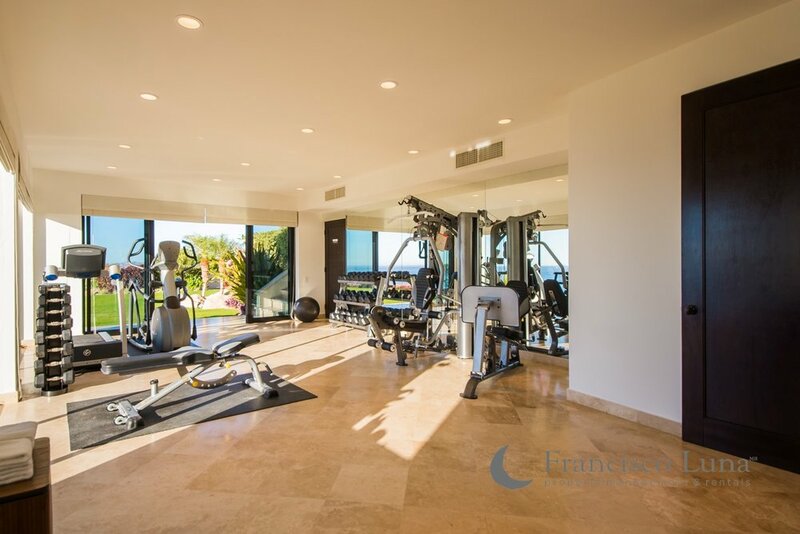 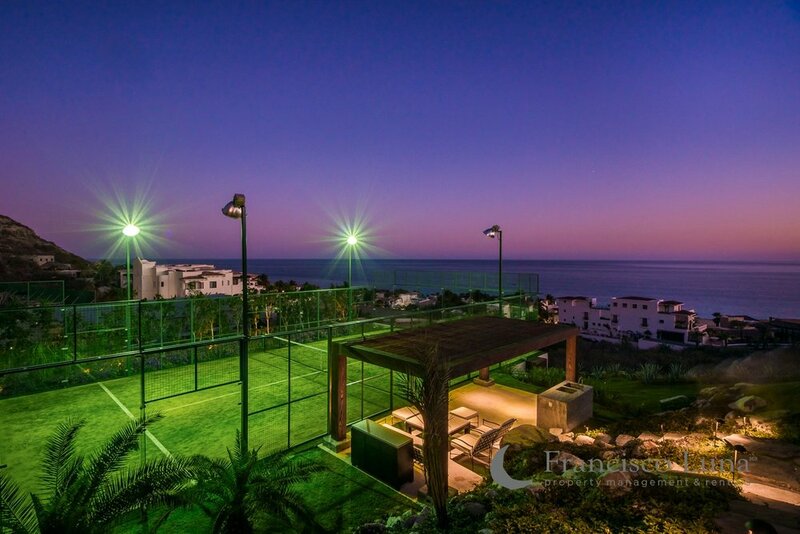 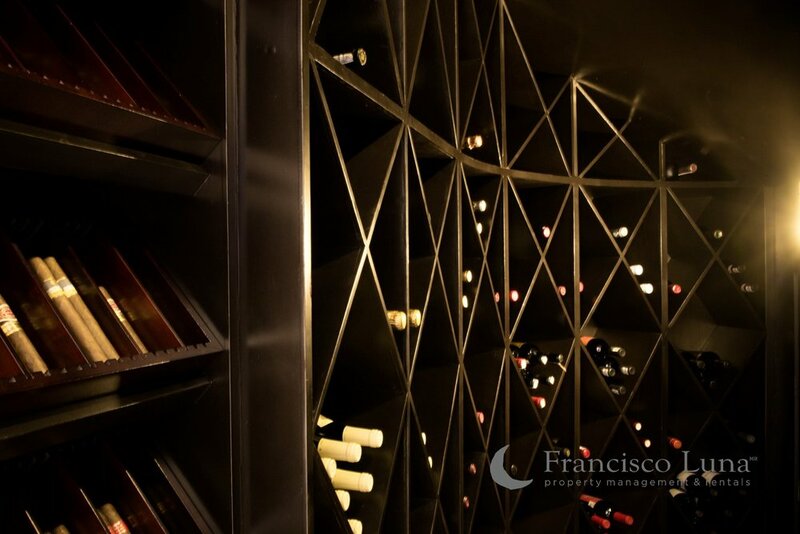 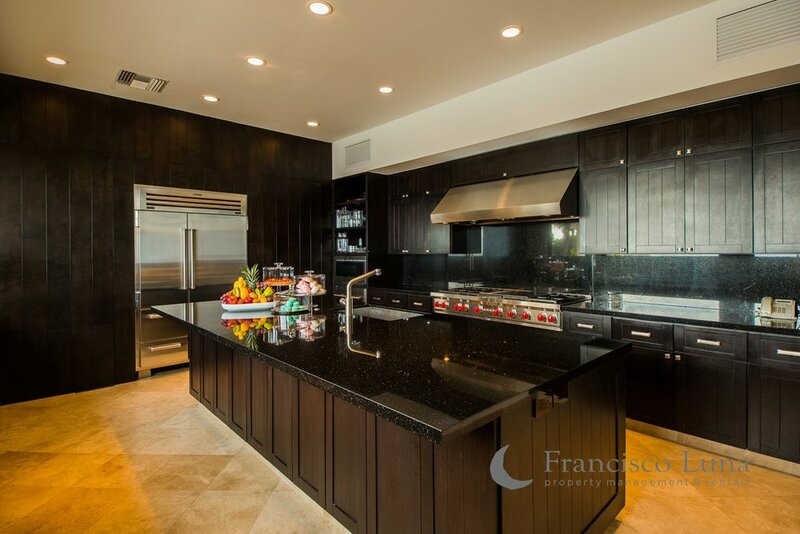 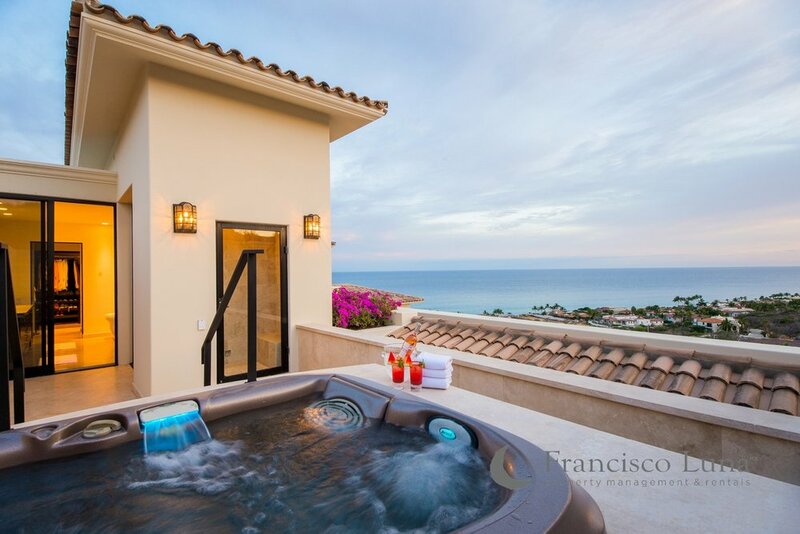 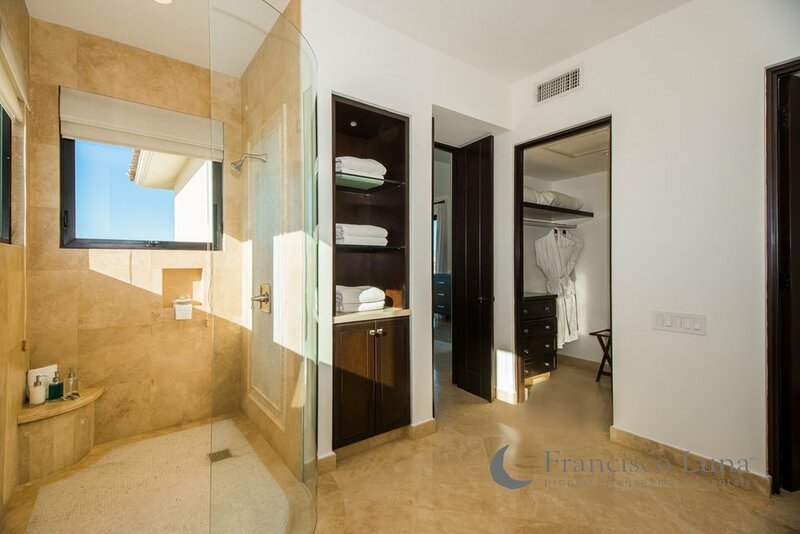 Located in the privileged location of Puerto Los Cabos where you can truly escape to the extraordinary. 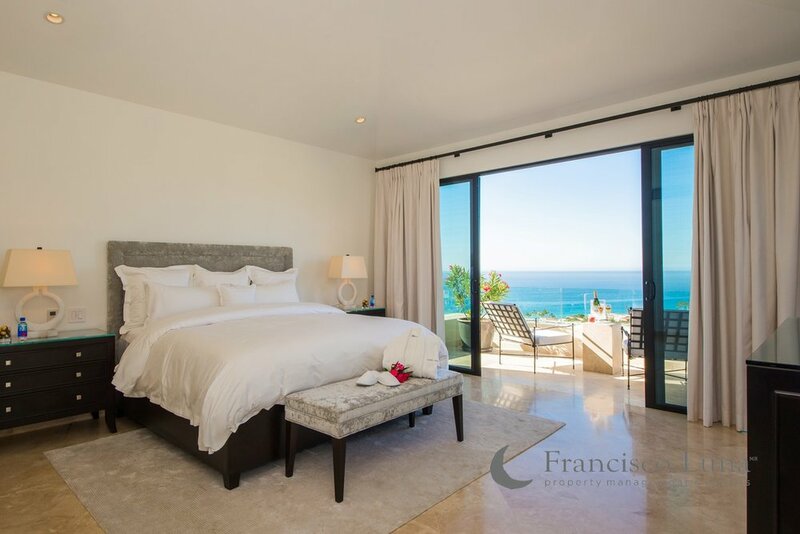 The fusion of Mediterranean and contemporary architecture decorated with soothing palettes, coupled with spectacular views of the sea from 7 of the 8 over-sized bedrooms, lead to an experience that combines elegance and excitement. 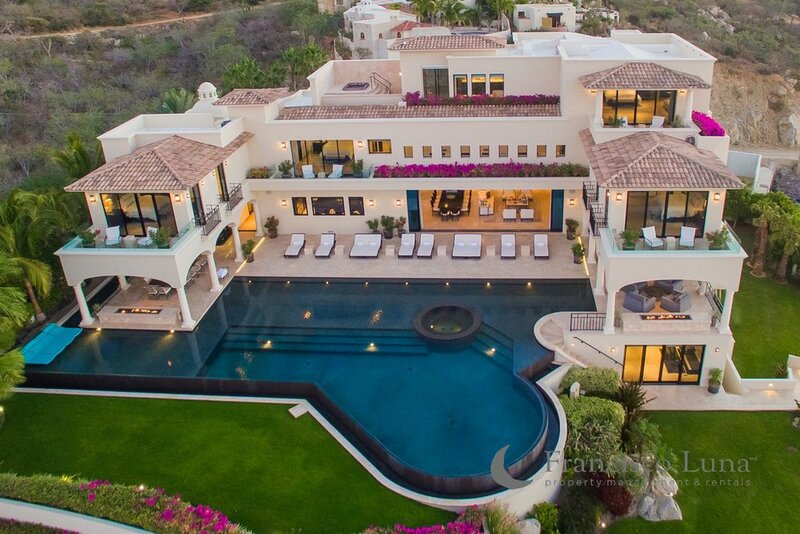 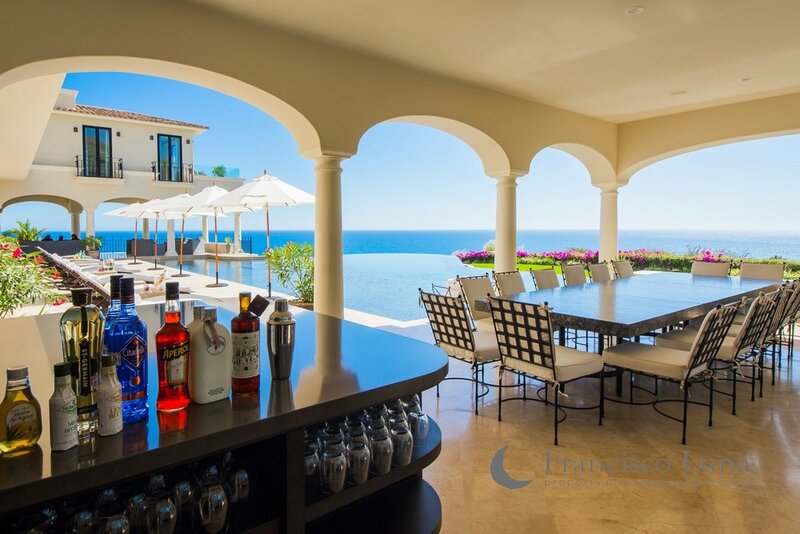 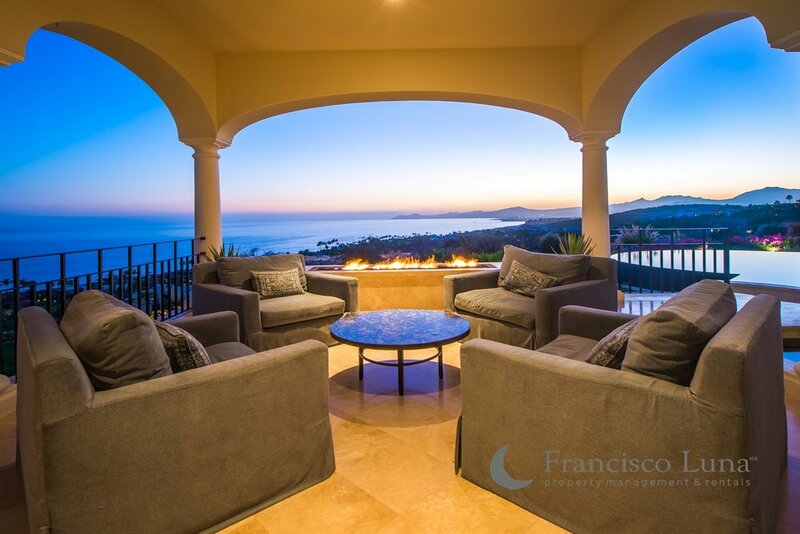 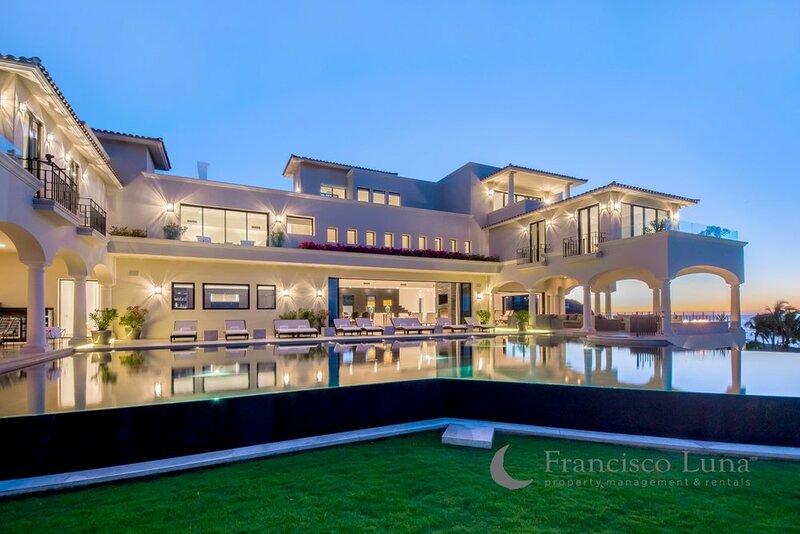 "The fusion of Mediterranean and contemporary architecture decorated with soothing palettes, coupled with spectacular views of the Sea of Cortez".